Bugz Be Gone from Touch of Earth is an all-natural bug spray that seeks to repel mosquitos, ticks, fleas, no-see-ums, and chiggers. 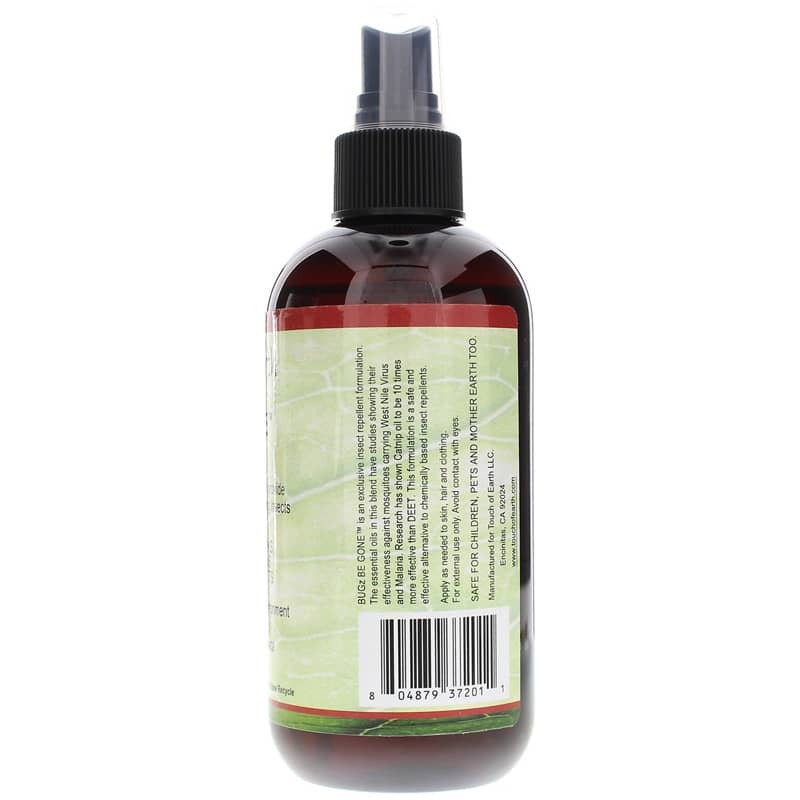 This spray is formulated with a blend of therapeutic grade essential oils and doesn’t contain the toxic chemicals found in many other bug sprays. This blend includes soothing extracts of eucalyptus, palmarosa, lavender, catnip, and geranium to repel bugs. 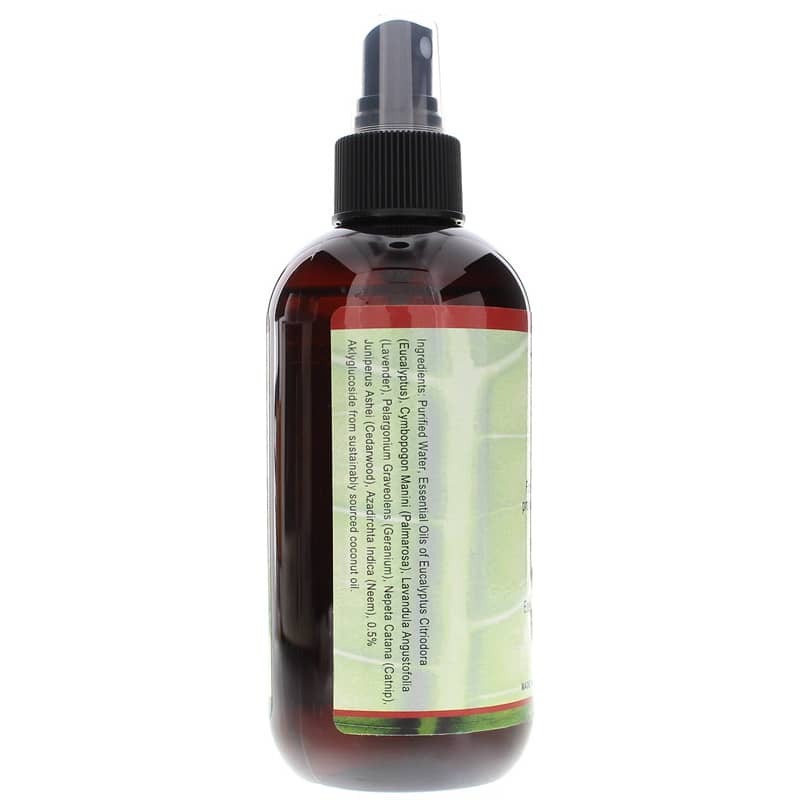 This formula is safe to be used on adults, children, and even pets. 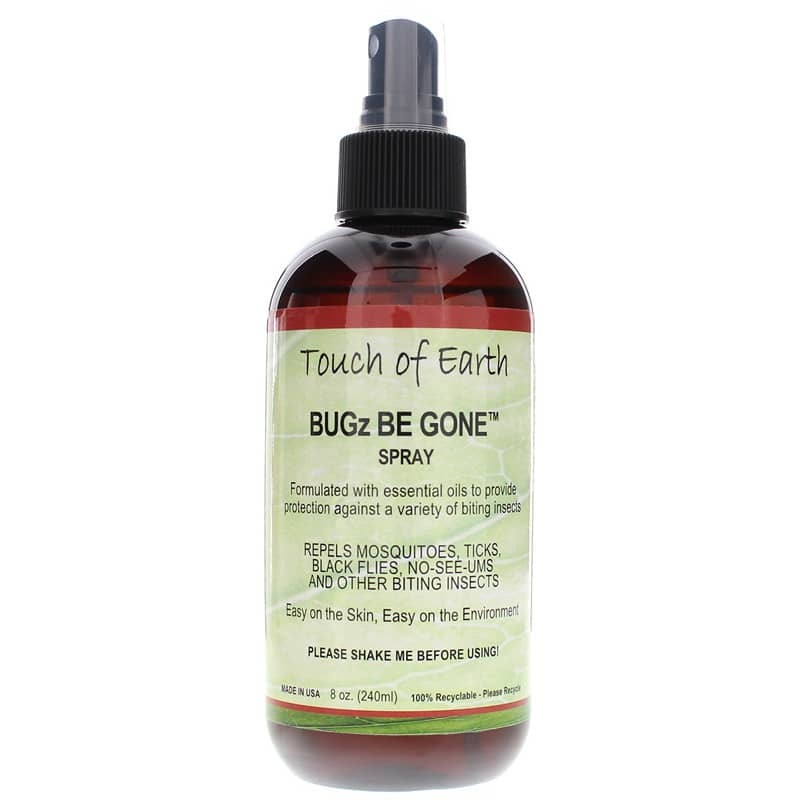 If you’re looking for a safe, non-toxic bug spray, consider Bugz Be Gone from Touch of Earth. Purified Water, Essential Oils of Eucalyptus Citriodora (Eucalyptus), Cymbopogon Manini (Palmarosa), Lavandula Angustifolia (Lavender), Pelagonium Graveolens (Geranium), Nepeta Catana (Catnip), Juniperus Ashei (Cedarwood), Azadirchta Indica (Neem), 0.5% Aklyglucoside from sustainably sourced coconut oil. Apply as needed to skin, hair and clothing. For external use only. Avoid contact with eyes.